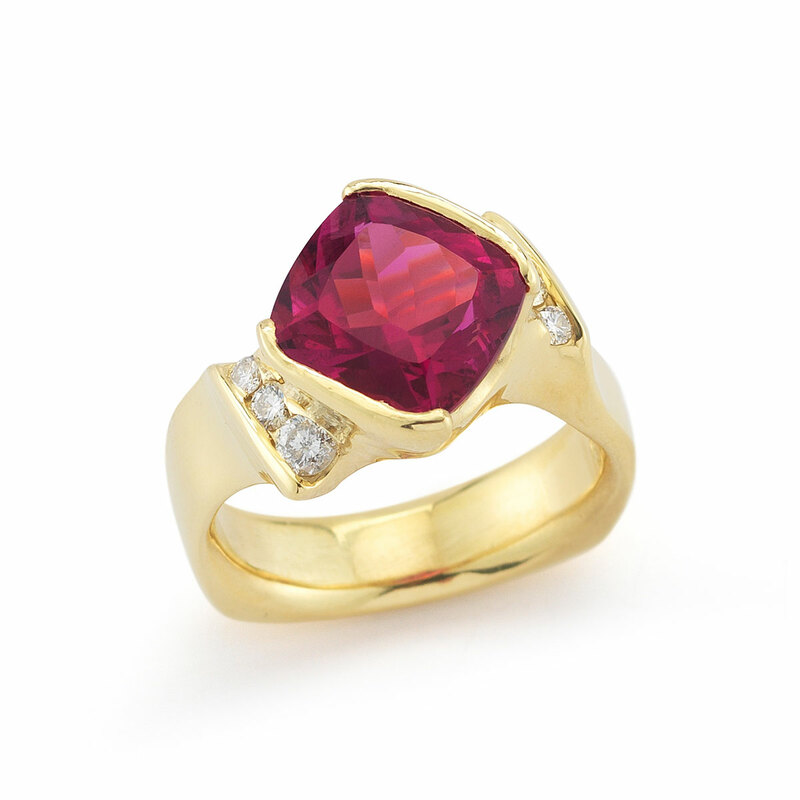 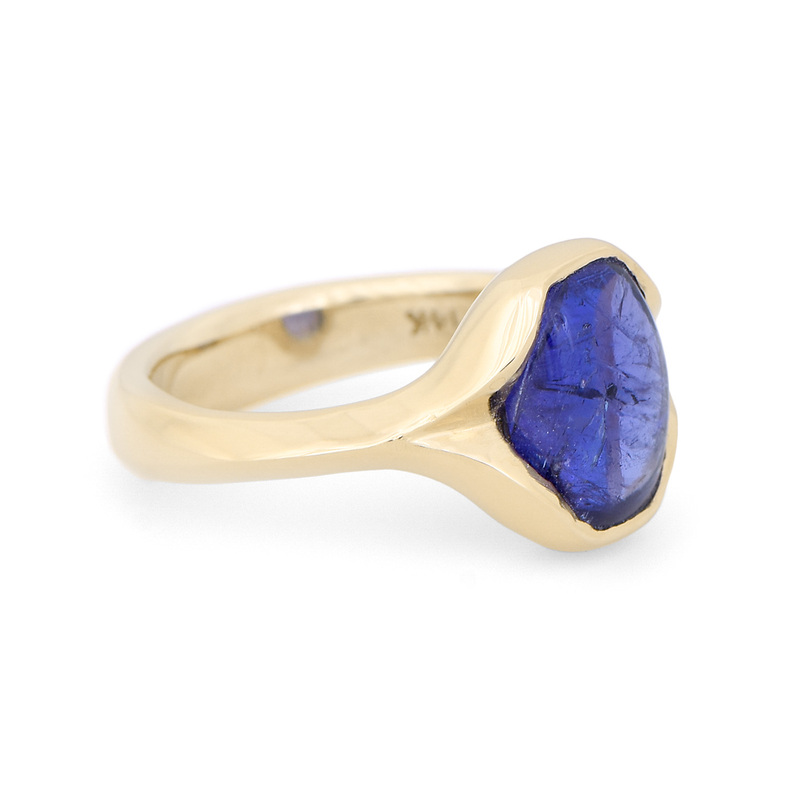 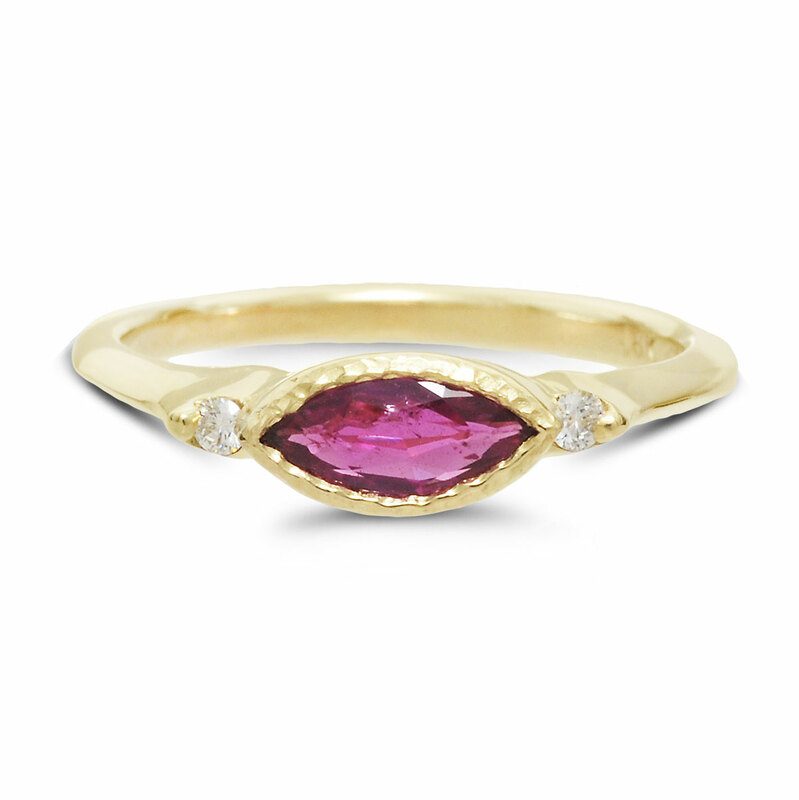 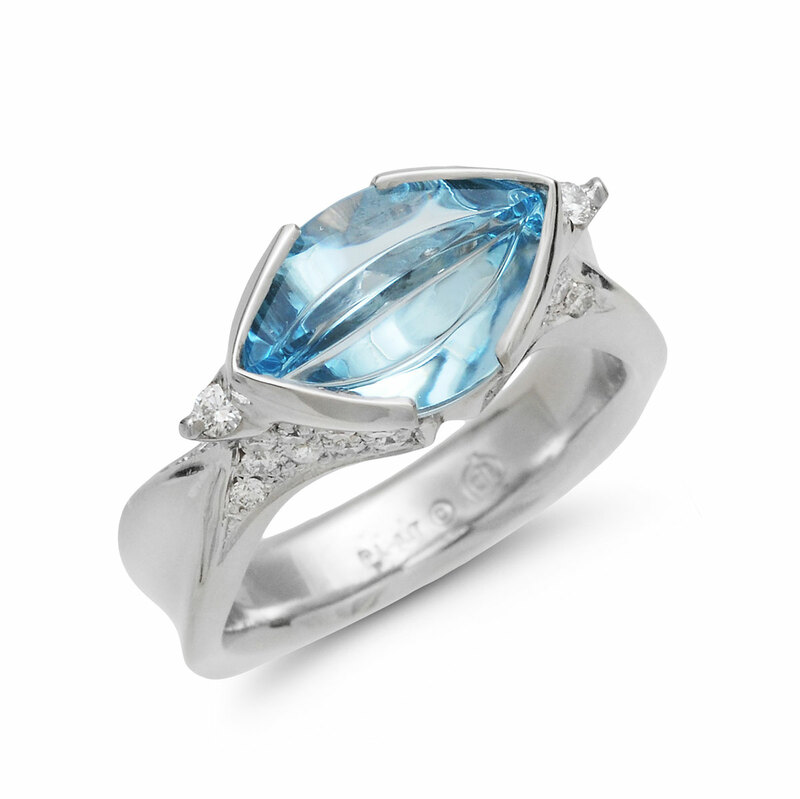 This ring won an AGTA Spectrum Award in 2016. 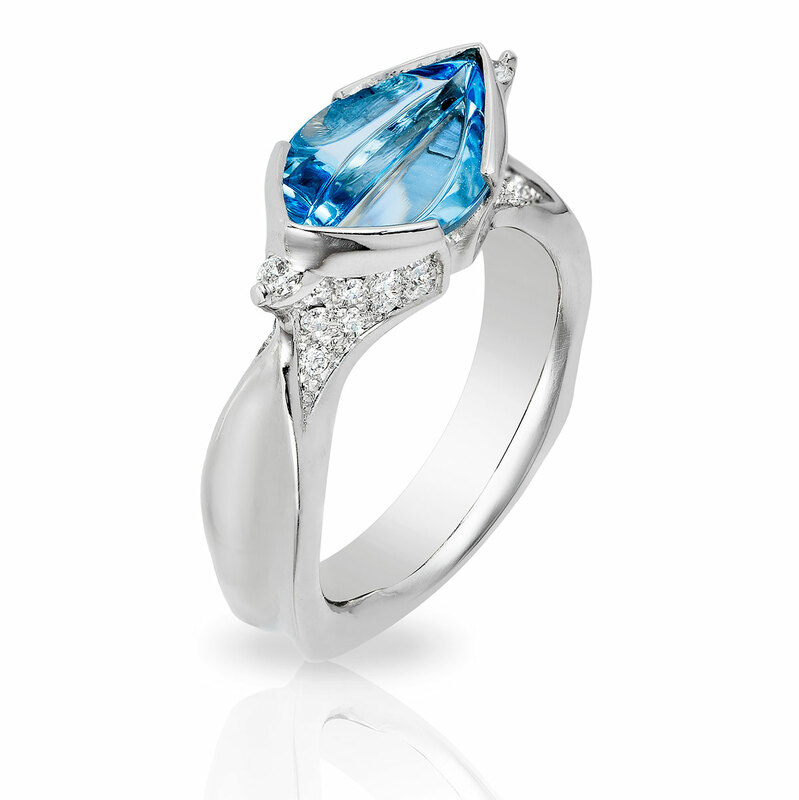 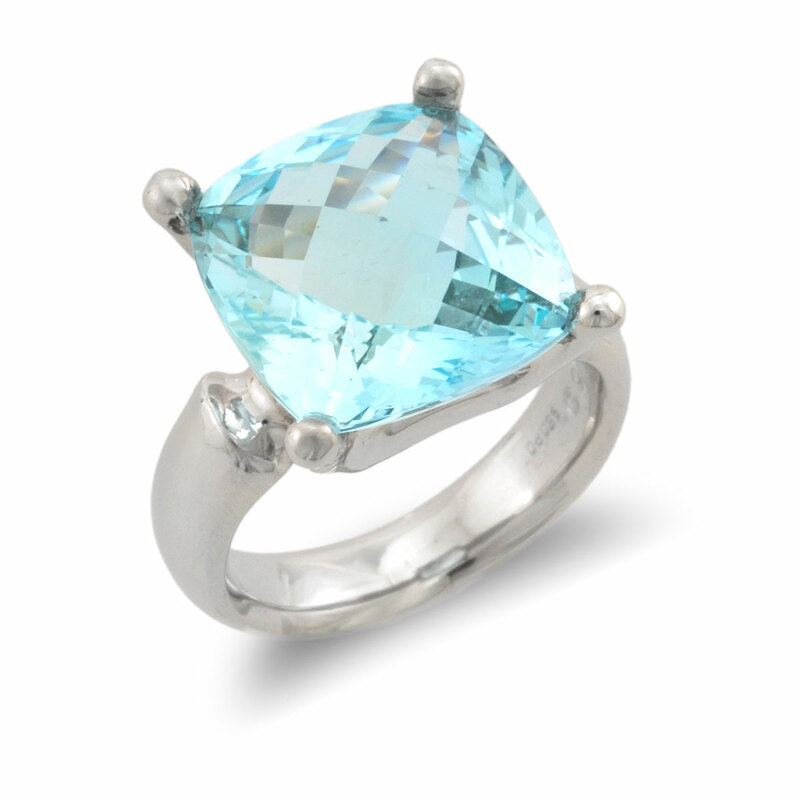 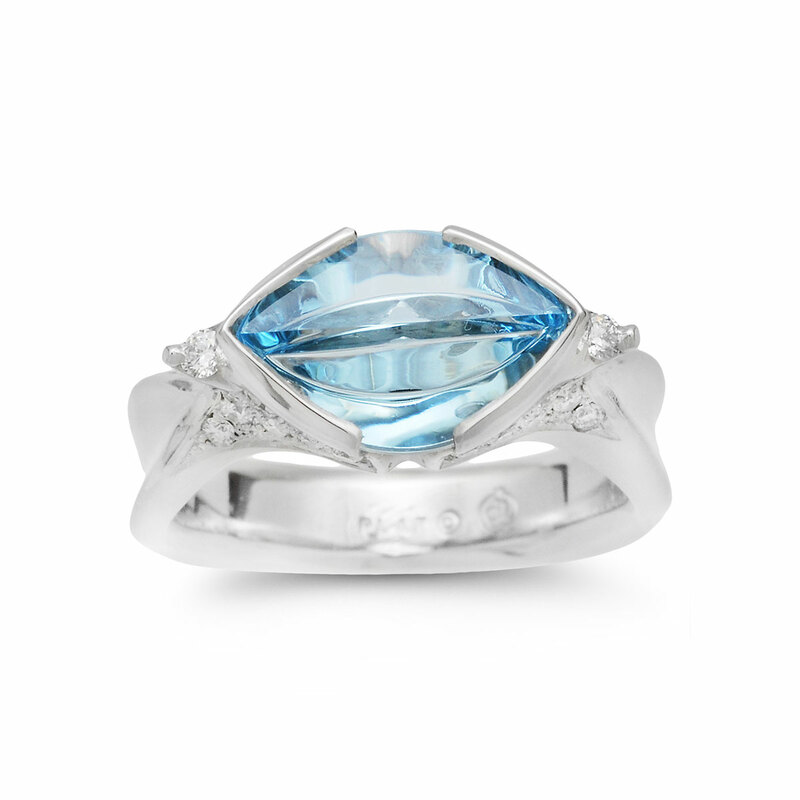 One of a kind Aquamarine Platinum Ring featuring a custom cut 2.20ct Aquamarine by artist Tom Munsteiner. 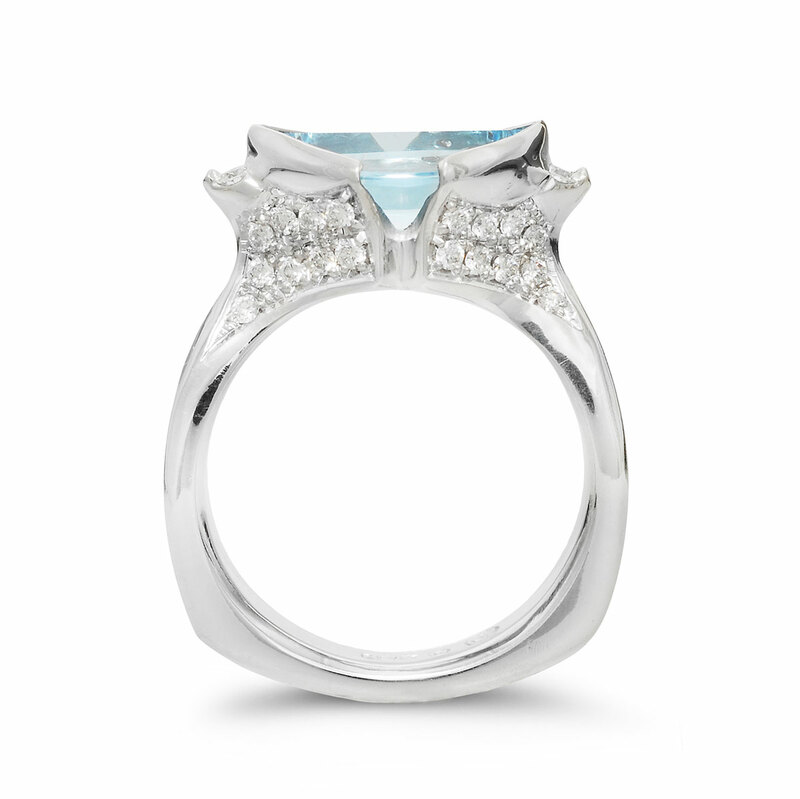 The ring, designed and made by Dennis deJonghe, showcases the Aquamarine in a platinum setting flanked by two diamonds on either side and accented with a field of pave set diamonds on the side (0.40ct SI1/GH).